The updates of iOS 12.2 and macOS 10.14.4 brought users the new Apple News+. But some users and subscribers were very upset that it kept crashing somehow. After starting, it displayed content temporarily, then crashed. It seems the devices with iOS 12.2 and macOS beta that encountered such bugs have no similarity, and it have nothing to do with iCloud accounts. At present, reinstalling the system still cannot solve the problem. Apple pushed all-rounded repair program after discovering the bug. Now the crashes of Apple News and Apple News+ have been solved. 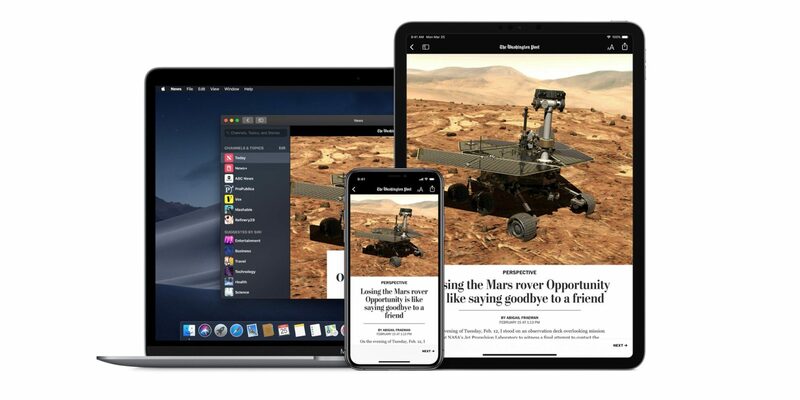 Apple News+ is a new service that Apple launched on March 25 for providing various journals, news and other digital readings with one-month free trial, then at a monthly price of $9.99. Now Apple News+ users can read famous journals including “Atlantic Monthly”, “Better Homes & Gardens”, “Condé Nast Traveler”, “Esquire”, and “Vanity Fair”, etc.